Every Subaru is designed and engineered to give you peace of mind and to keep you safely on the road. But our commitment to safety, security and well-being doesn’t end there — even for customers interested in a Subaru Certified Pre-Owned Vehicle. With the innovative Subaru 360 C.A.R.E. 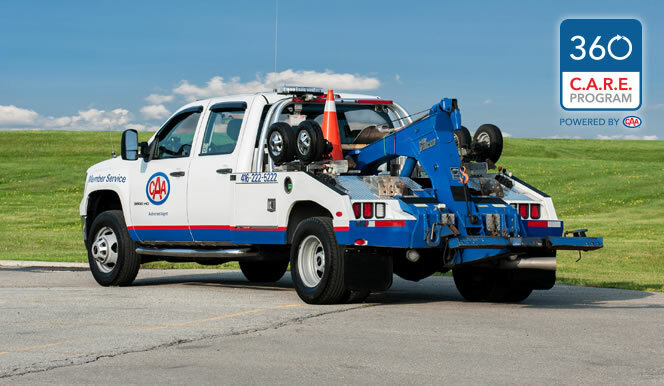 (Customer Assistance for Roadside Emergencies) program, members are guaranteed not only quick, courteous emergency roadside assistance in Canada and the United States, but also other benefits designed to ensure an extraordinary experience with your Subaru. Best of all, the extensive Subaru 360 C.A.R.E. program — sponsored by Subaru Canada, Inc. and backed by Canada’s leading automobile roadside assistance organization, the Canadian Automobile Association (CAA) — is included on every Subaru Certified Pre-Owned Vehicle and can be extended for a reasonable fee. As a Subaru 360 C.A.R.E. member, you will have access to a dedicated 1-800 SUBARU / CAA telephone number that will give you access to over 20,000 roadside assistance contractors and 1,000 CAA and American Automobile Association (AAA) offices throughout Canada and the United States. Subaru Canada, Inc. is proud to be the first vehicle manufacturer to have a direct relationship with CAA, giving our customers the benefit of their unparalleled level of experience and service. Find out more about Subaru 360 C.A.R.E. membership benefits and services.